“Game of Thrones” will be a source of ample buzz this weekend as the HBO drama embarks on its eighth and final season on Sunday. More than 10 million folks regularly tune in to watch the program’s live showing rather than viewing a recording later on, and industry pundits are characterizing the show’s final eight episodes as the last time such a crowd will watch fictional programming together at its original air time. While some people may argue that take is a bit strong, it’s inarguable that TV-like viewing is trending toward over-the-top (OTT) systems and mobile video. From 2013 through last year, the number of OTT-only households tripled to account for 11 percent of the TV market. And consider that 30 percent of sports viewing—one of live TV’s last footholds—now happens via smartphones or tablets. Seriously, outside of the Super Bowl and other major sporting events, the GoT final season is the end of TV as we have come to know it. Call it the Netflix effect. Before Netflix became a media giant, many young adults in the 2000s used Tivo and essentially dipped their toes into the idea of on-demand TV. When Netflix became the primary source of entertainment for millions of cord-cutting households, everything changed. More than half of all Americans now use an OTT service like Netflix, Hulu or Roku, which is why Disney, NBCUniversal and CBS have bigger and bigger designs on capturing a chunk of this market. The end of “Game of Thrones” doesn’t mean the end of all live viewing, but these audiences are going to get smaller and smaller and increasingly fragmented. These developments have been building for a while. Consider that 1980s nighttime soap opera Dallas—back when everyone watched only three or four channels—drew 83 million viewers for its “Who Shot JR?” episode, which would beat GoT by seven or eight times. Consider that Netflix shows are attracting 40 million households. Consider that our on-demand society now expects the ability to view a program when it fits their schedule. Some viewers want to watch shows on their TV on Saturday afternoon, then on their tablet while tucked in bed on Sunday evening and on their phone while heading to work on Monday. It’s a fragmented consumption landscape that’s going to become more fragmented as 5G inspires video-enabled, household appliances. We may never see another show as popular as “Game of Thrones” again; it’s probably more likely you will see someone watching the latest episode on their phones this week during your morning commute. Rest assured that, for the next hit show, the live viewing numbers will be smaller because consumer behavior is swiftly trending toward OTT and mobile. As consumer behaviors continue to fragment across devices and channels, marketers need a bridge to understand emerging consumer journeys with a mix of behavioral, social and location data. For people who watch “Game of Thrones” at home on TV, brands can leverage automatic content recognition (ACR) data from the likes of Vizio or through a TV measurement partner that licenses ACR data from multiple vendors. These TVs can be connected to other device IDs to get a holistic view of how the GoT fan moves around in the physical world. Then, brand marketers can connect the dots. Do millennials prefer to watch HBO on their mobile phones on the way to work, then visit the nearest Target on the way home to purchase a John Stark action figure? Or do they prefer to watch at home the weekend after the show runs, right before they go to the gym? Understanding these unique audience interactions is crucial to designing marketing campaigns across TV, mobile, OOH, digital, etc. Brands need tech that allows them to measure the efficacy of ads on these channels while targeting viewers as well. While live sports still draw strong TV ratings, we don’t even watch games the way we used to—the activity has become more of an “on my time” commitment. The football game is in the afternoon when I’m busy? That’s okay; I’ll record it and watch a condensed version later. These emerging behaviors are why the NBA—which just tipped off its playoff—has embraced offering snackable content as well as a mobile-dedicated video series for fans to chew on. Indeed, live TV has serious competition. Ad spending on OTT streaming video will increase 20 percent this year to $2.6 billion. Such advertisers will need behavioral data (for instance, did viewers visit the website or one of our stores?) like never before to understand customers. For smart marketers, there will be no such thing as a “GoT fan” to seize in the future. 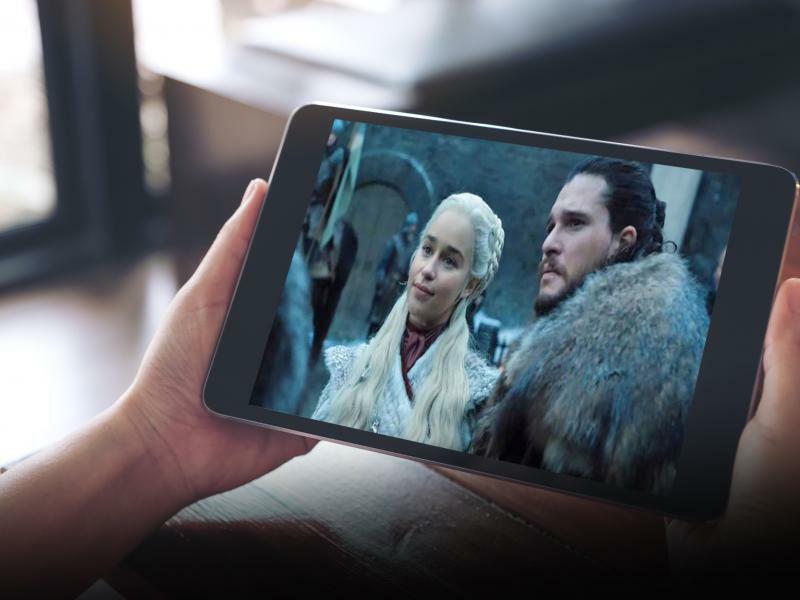 It will be the “mobile GoT fan,” the “timeshift GoT fan,” or the “binge all episodes at the end of the season GoT fan.” Mobile helps better define these audiences, so brands can ensure they can tap into them. Like so many of Game of Thrones plot lines, we know that human journeys can be complicated and only helped by relevant information. After all, even the character Tyrion Lannister (played by Peter Dinklage) has needed all the data he could get to win so many political battles in Westeros. Brian Czarny is chief marketing officer of Factual, a location data company.